My previous post reviewed the basics of virtualization and a brief history lesson. I also included the basics of the cost benefits of incorporating a virtual environment at your business. To briefly recap, make sure you look through your expenses to see if it’s the right fit, before taking on any project of this level. I would highly recommend getting a professional (like 3coast ) involved who has the experience to make sure your implementation goes smoothly. So let’s start with some of my recommendations. I’ll start with the desktop level, so you can have some experience under your belt before moving to the server level. A working computer with a lot of RAM. On a desktop, a virtual machine will share the memory with the operating system. Extra disk space to use with your new VMs. On-board hard drive space is ideal, but a USB drive will work in a pinch. ISO files of the operating systems you wish to install. ISO files are digital copies of the operating system, which historically were used to burn a copy of the OS directly to a DVD/CD for installation in another computer. In the virtual world, ISOs can sit in a centralized store, so you don’t have to find them later. Linux distros are commonly delivered in this format. Windows ISOs can be downloaded from Microsoft (be sure you have the license key), or you can use a tool like MagicISO Maker to create your own (many of these tools charge a nominal fee for the program). If you are not comfortable creating an ISO (or can’t find them), but have the original Windows CD/DVD, you can use that as well – just be sure you don’t lose it. A bit of patience – this is a new way of doing things. Point to the ISO (or the CD/DVD the operating system is loaded on), and start your VM. Continue installing the operating system just like a normal PC. Install the custom tools for the VM host to allow seamless integration. 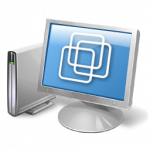 VirtualBox – A powerful, easy-to-use virtual machine host, that supports a long list of different operating systems. Not heavy on advanced features, and not easily portable to a server-based VM environment, but you can’t beat the cost of ZERO. FREE. NADA. COMPLIMENTARY. And it’s backed by Oracle (formerly Sun Microsystems – see for some interesting details). Virtual PC – Microsoft’s answer to virtualization for the end user. This program comes in two flavors: Virtual PC 2007 for Windows Vista/XP, and Windows XP mode for Windows 7 (same program, but customized for the Windows 7 environment). Easier to install, still free (validation required), but very basic – and it supports Windows ONLY – if you’re interested in Linux at all, stay away from this one. VMWare Workstation – The granddaddy of the virtual world, VMWare sets the standard all other virtualization products try to match. This program is very powerful, and very feature-rich. When you are ready to migrate to the server-level VMWare product, moving files is very easy. The downside: it’s pricey. Bring your checkbook. VMWare Fusion for Mac – This is a great virtualization tool for Mac users, and was originally created to allow Mac users to use Windows programs seamlessly. Not only can you run the VMs like the other options above, but you can also run in Unity Mode, which integrates Windows and Mac desktops into a “one desktop” experience. Available for a fee, but not as high as VMWare Workstation. Parallels Desktop 4 (Windows) or 5 (Mac) – If VMWare is Coke, then Parallels is Pepsi – same type of program, different manufacturer, different experience. A good fit for some people, but tends to be very processor-intensive. Try as many as you want – the software is either free or available as a limited-time trial. Find the one that works best for you. Next up: Taking the dive into server virtualization… bring a wetsuit….